Student entrepreneurs at Southern Utah University span across many disciplines and industries. The common denominator in each student entrepreneurial endeavor is the resources available at SUU. With dedicated mentors, monthly networking events, a lively entrepreneurship club, and new programs in development, students of all majors have access to the necessary resources to start a business. Dr. Tyler Stillman, associate professor of management and marketing, recently accepted the position of Director of Entrepreneurship at SUU. In this new role, Stillman is responsible for the weekly Entrepreneurship Speaker Series, pitch competitions, mentoring nights, entrepreneurial study abroad trips, and the development of SUU’s new Larry H. and Gail Miller Family Center for Entrepreneurship. Dakota Denver, a junior accounting major, is the Entrepreneurship Club President and has used the many services available at SUU to start two companies in Cedar City, Clutch Athletics and Millennial Marketing. Clutch Athletics is a sporting apparel company that offer quality gear for energetic enthusiasts and Millennial Marketing is an Internet marketing company from a new generation that specializes in web design, social media, videography and content creation. 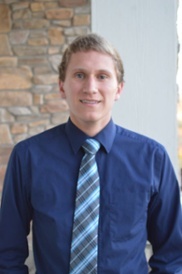 Denver uses his personal experience to help fellow students overcome common business roadblocks and develop long term goals for their business aspirations. The club is also associated with Quatare, a mastermind group who meets weekly to discuss business problems. This statewide network operates like a board of directors for each business owner. SUU alum, Tayson Whittaker, founded SUU’s Entrepreneurship Club during his senior year of college to create more opportunities to aspiring entrepreneurs. 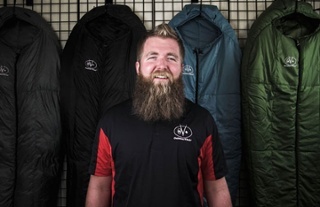 Using skills he learned in the club, Whittaker is now the founder and president of Outdoor Vitals, a company based online that sells outdoor equipment. SUU has several other initiatives to prepare students for the variable world of entrepreneurship. This semester, the Entrepreneurship Leadership Council (a group of entrepreneurs who support the entrepreneurship program) hosted a 90-Second Pitch Competition. A panel of judges listened to 20 student entrepreneurs pitch their business ideas in 90 seconds. Competition winners received cash prizes, totaling $3,500. In the Entrepreneurship Speaker Series, students are taught business fundamentals from successful entrepreneurs and corporate executives. Some notable speakers from this semester include Ritch Wood, CEO of Nu Skin, Amy Rees Anderson, managing partner and founder of REES Capital, Martin Frey, first person to climb the 7 summits and sail the 7 seas, and Rich Christiansen, serial entrepreneur and best-selling author. 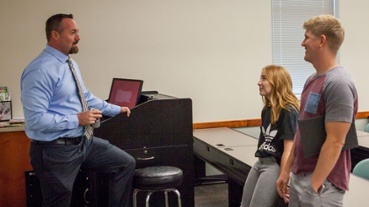 Christiansen is heavily involved with entrepreneurship at SUU. As a trustee for the University, he has a vested interest in the students and partners with Stillman to connect the highest-caliber executives and entrepreneurs with SUU. He is the founding member of the Entrepreneurship Leadership Council. SUU also has a Small Business Development Center, an impressive resource for students and community members alike. The Center strengthens Utah’s economic fabric and quality of life by facilitating the success and prosperity of small business endeavors. As a business incubator, the Center provides necessary support and counseling services for smaller businesses in finance, partner facilitation, marketing, legal and human resources. Students interested in starting a business can join the Entrepreneurship Club on campus. Those interested in mentoring student entrepreneurs can contact Tyler Stillman at tylerstillman@suu.edu.